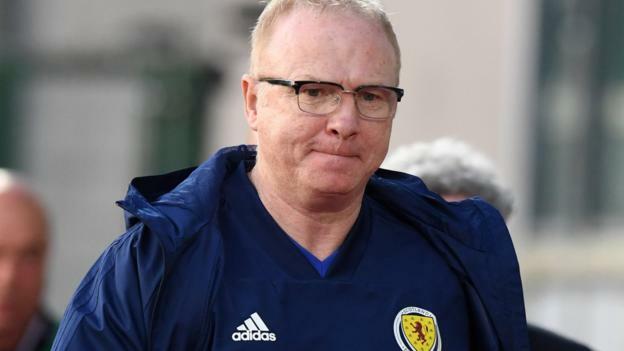 Scotland’s play was affected by nerves as a result of fans booing during the 2-0 win in San Marino, says boss Alex McLeish. A defiant McLeish says the campaign “is never over” after losing 3-0 in Kazakhstan before defeating San Marino. “I have heard booing over the years during my career,” he said. “Sometimes the players get nervous about that and that’s why you don’t get the free-flowing football you saw in November [When Scotland won their Nations League group]. “We know the Russians are strong and Belgium are favourites, but it’s never over this early in any competition,” said McLeish. “There will be blips in the ensuing games and we need to be better. We have to get better and we need to get our best players in the team. He added: “It’s been a difficult weekend. “We knew 1-0 or 2-0 wasn’t going to be looked at in a great light, but it was important for us to win after the disappointment in Kazakhstan. Everyone is hurting on that one.